Experience the same excellent stopping power and light weight you've come to expect from eeBrakes, all in a devilish red, black and silver colorway. These limited edition eeBrakes are available in Regular Mount only. They will fit any rim brake road bike that utilizes a Regular Mount brake. 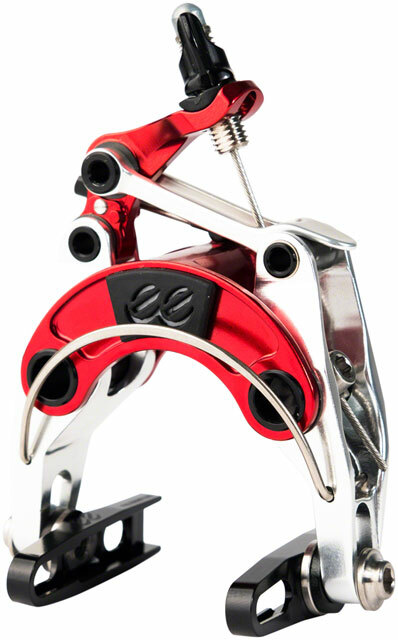 Available SoonSorry, 'Cane Creek El Diablo eeBrake Regular Mount Front Caliper Brake, Red and Silver' is currently out of stock. Please check back later or contact Bikeman for an expected availability date. Refer to our Shipping Terms for more information.